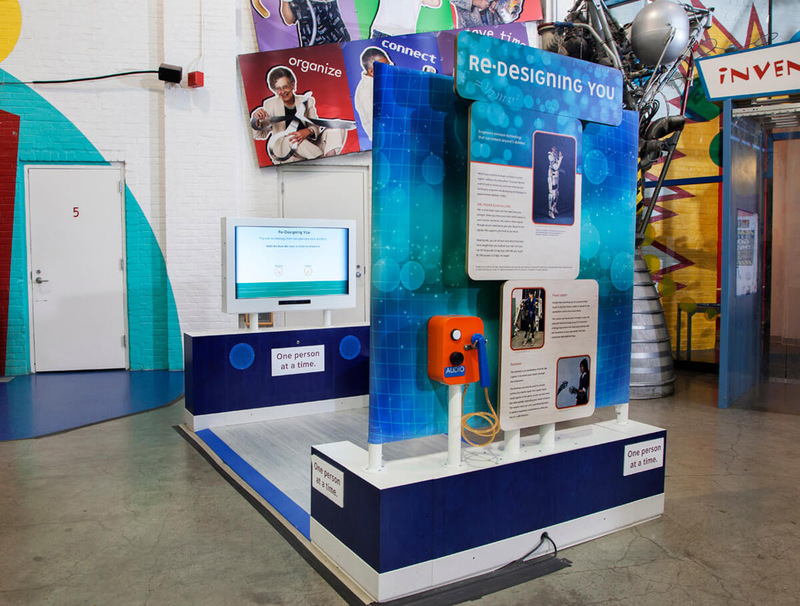 Human Plus: Real Lives + Real Engineering inspires visitors to discover the real world impact of technology by exploring and creating a range of low-tech and high-tech tools that extend human abilities. 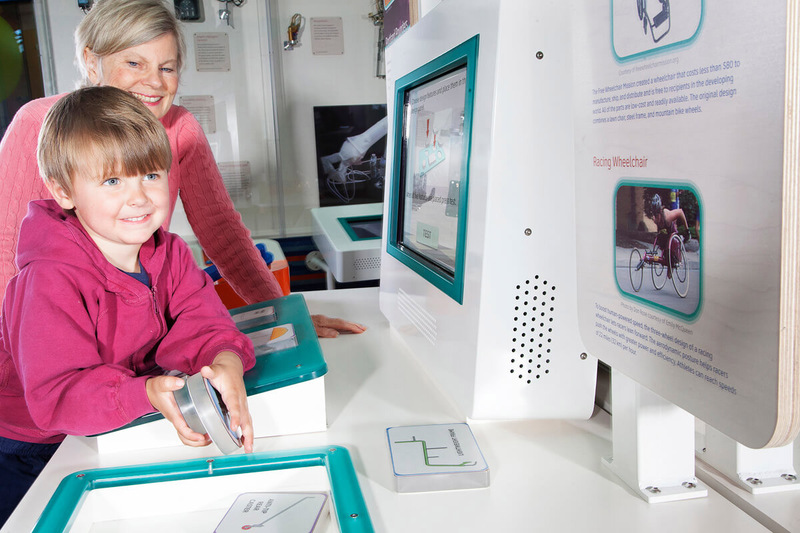 Explore tools that extend human abilities and change lives! 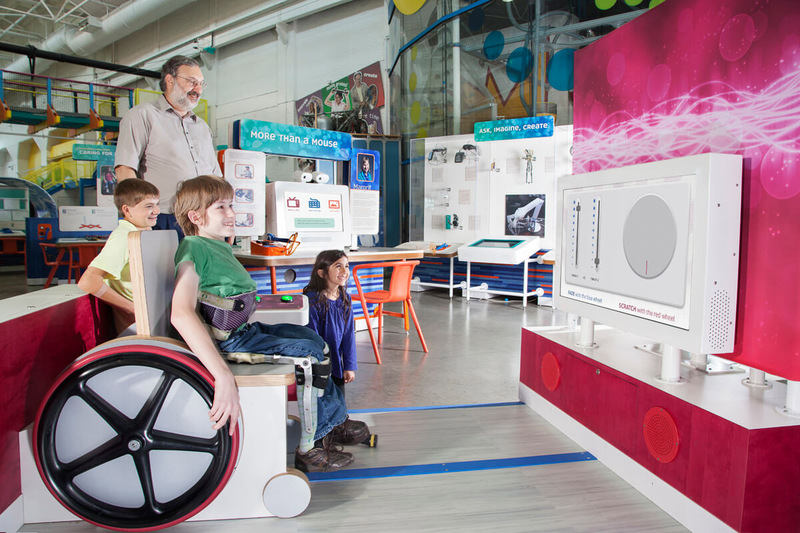 Human Plus: Real Lives + Real Engineering offers visitors a chance to explore and create a range of low-tech and high-tech tools that extend human abilities. 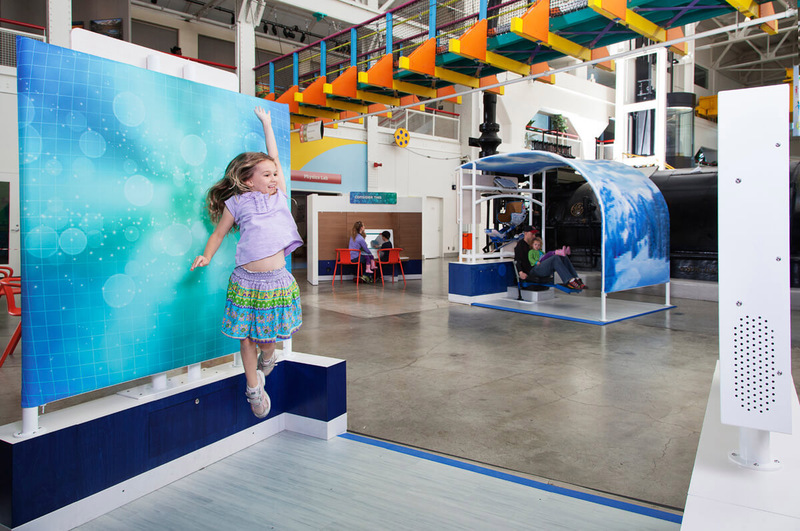 Visitors experience the creative, dynamic engineering process, that involve the user every step of the way. 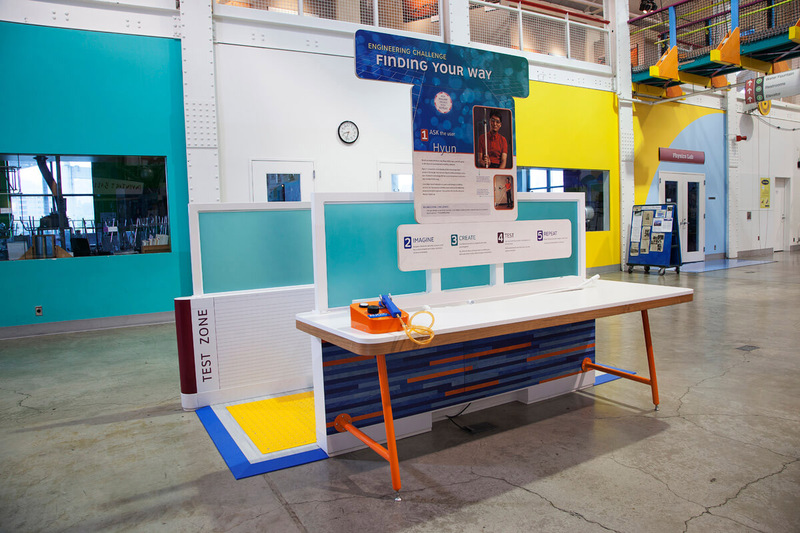 The exhibit also tells compelling stories of engineers and users who design and utilize technologies to help themselves and others achieve their goals—from everyday routines to lifelong dreams. 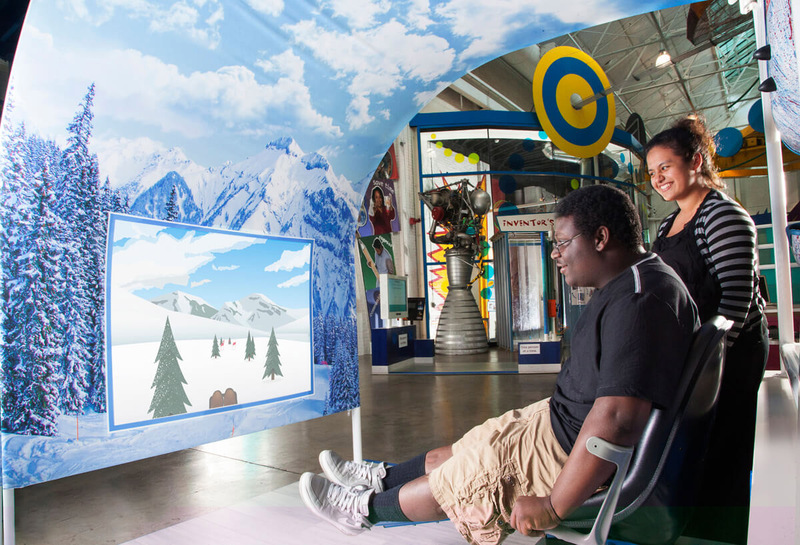 In Human Plus, visitors can ride a mono-ski in a simulated ski race, control a DJ station using the wheels of a wheelchair, engineer unique solutions to design challenges, and discover how neuroprosthetic limbs can be controlled by a user’s thoughts. 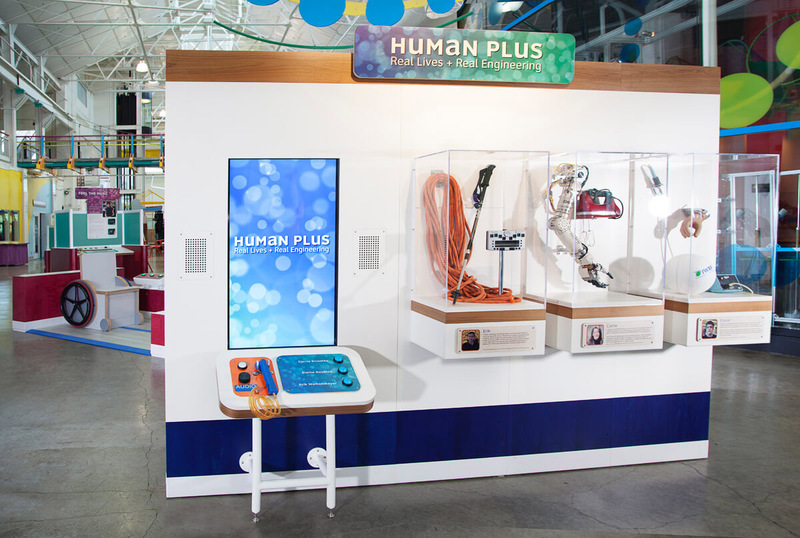 Human Plus showcases an innovative field of engineering that improves our lives every day. 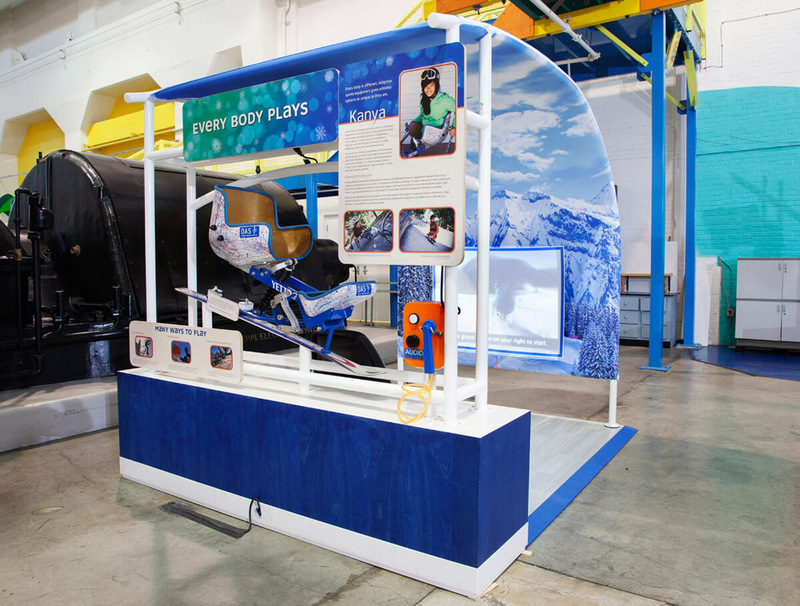 Every Body Plays—Try out a mono-ski (a seat with a ski mounted below it) and use your body movements to ski down a simulated slalom course. 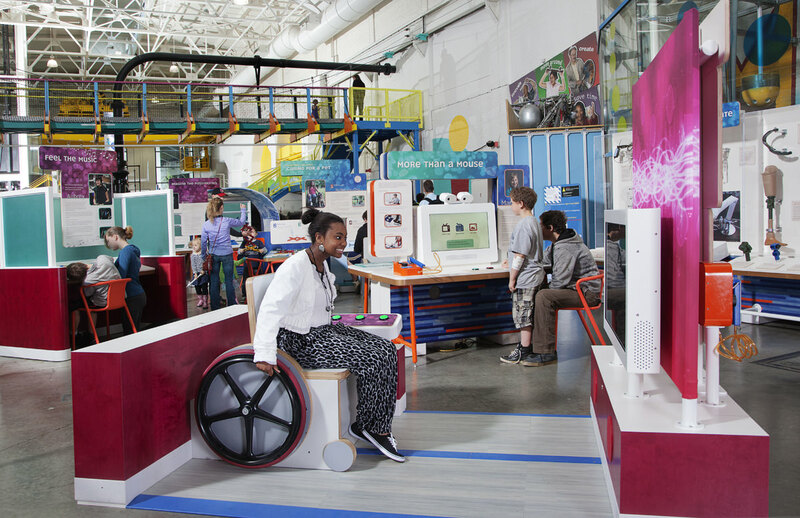 Re-Designing You—In this full-body simulation, visitors test options for enhancing human abilities that sound futuristic but are being worked on in labs today. 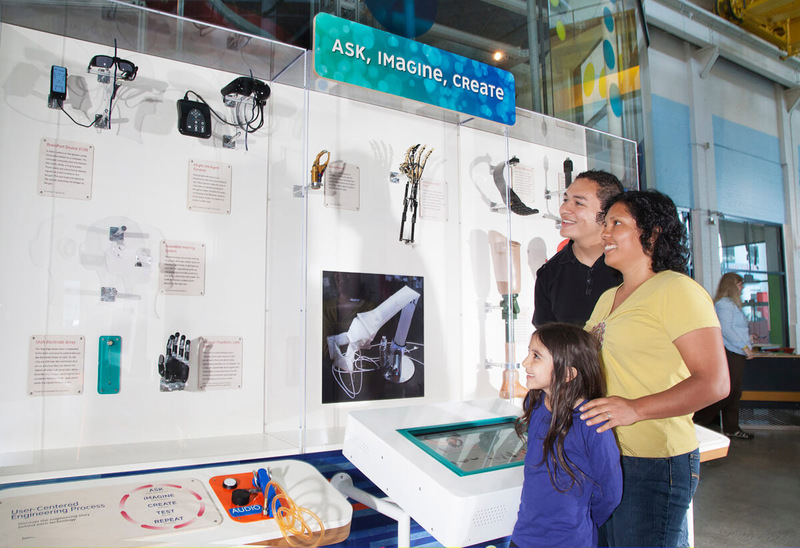 Ask, Imagine, Create—This display includes some of the amazing technology that is being developed by today’s engineers. 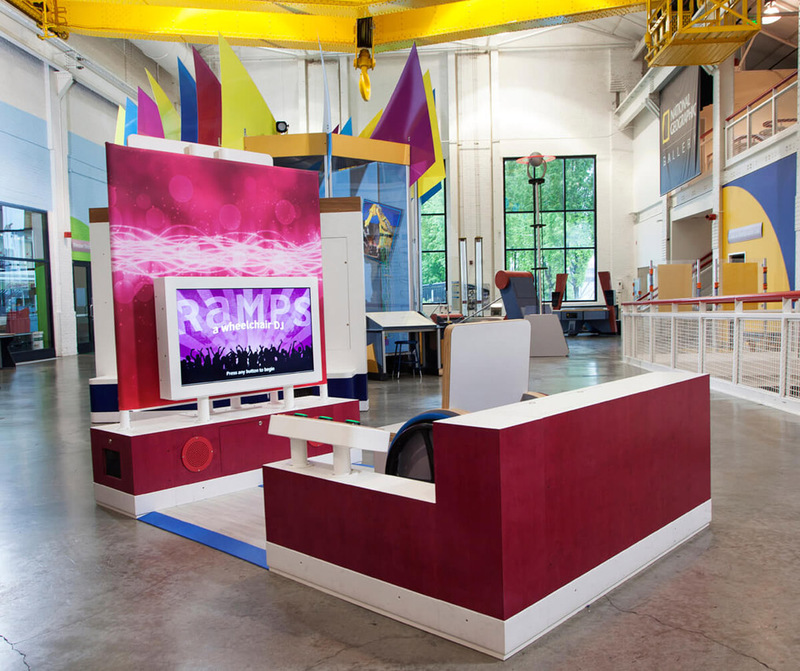 A multimedia kiosk presents images, text, and videos that bring the artifacts and the process of engineering to life. 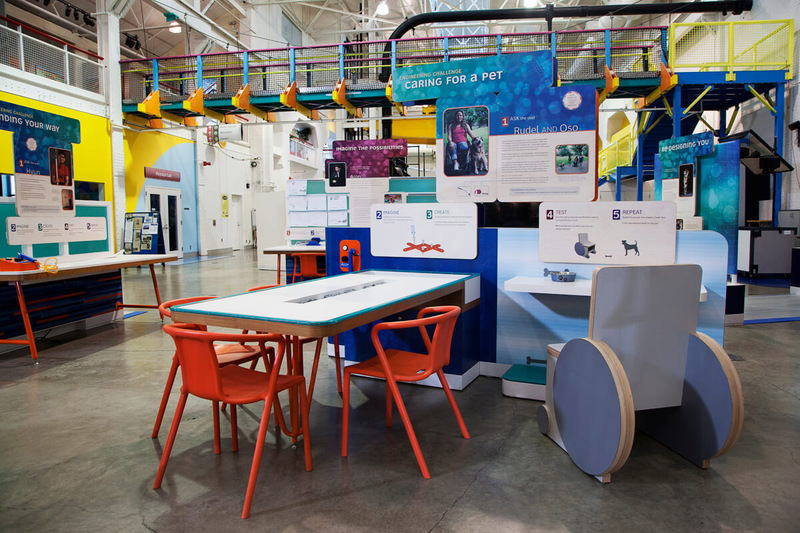 Caring For a Pet—This challenge is based on a real wheelchair user’s need for a tool to help her pick up her pet’s food bowl. 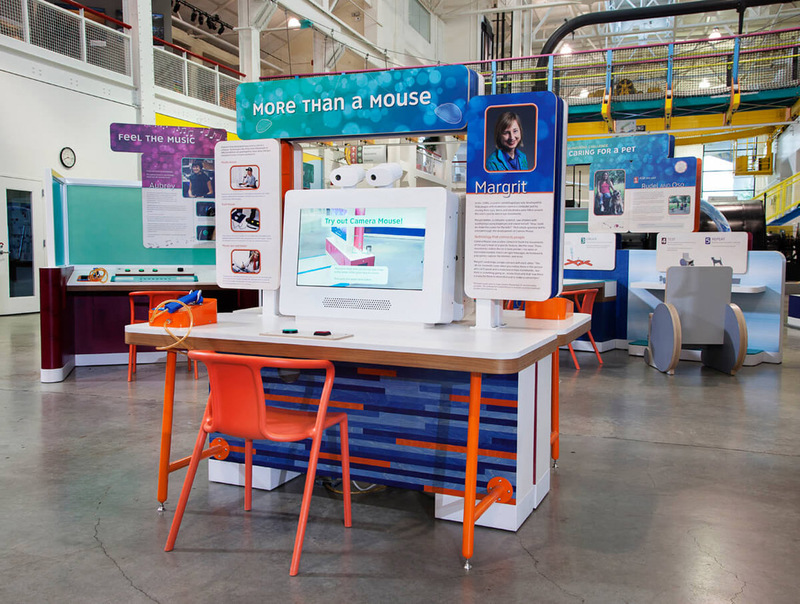 Visitors use modular building materials to imagine, create, and test a device to make this daily task easier. 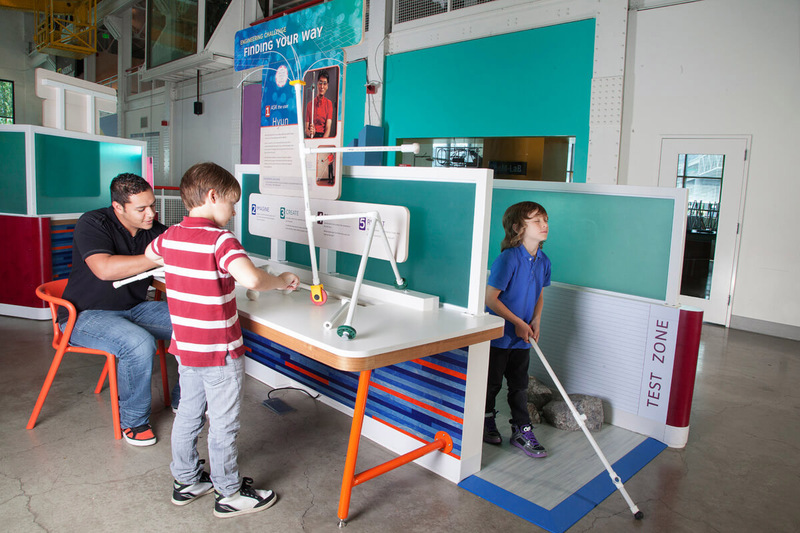 Finding Your Way—Visitors imagine solutions and use simple building materials and custom pieces to create and test tools that could help a person with vision impairment avoid obstacles that are difficult to detect with a cane. 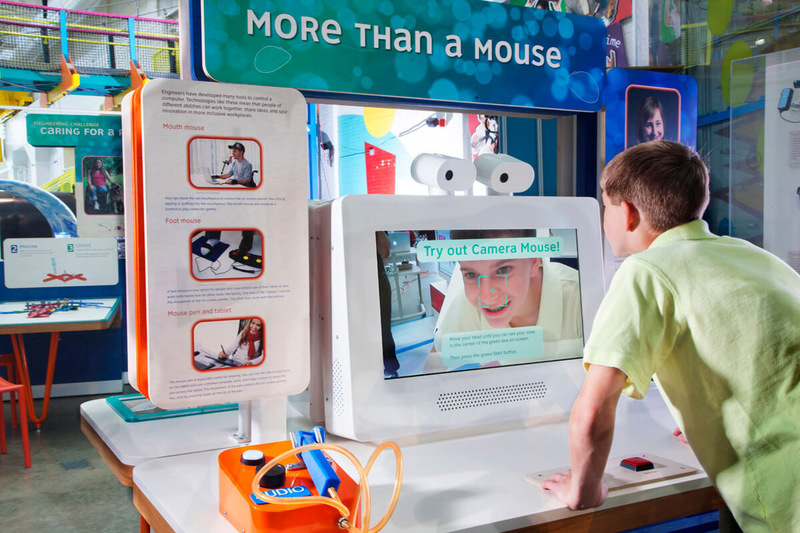 More Than a Mouse—Visitors can use Camera Mouse, which tracks the movement of a facial feature to control the on-screen pointer, to type messages, edit photos, or watch videos. 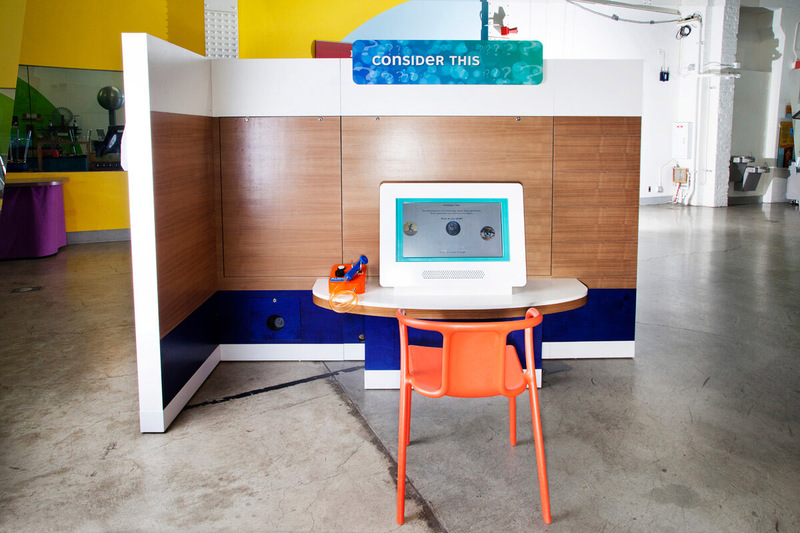 Consider This—In this computer interactive, visitors are presented with a series of questions, designed to encourage them to share their ideas with each other and reconsider their assumptions. 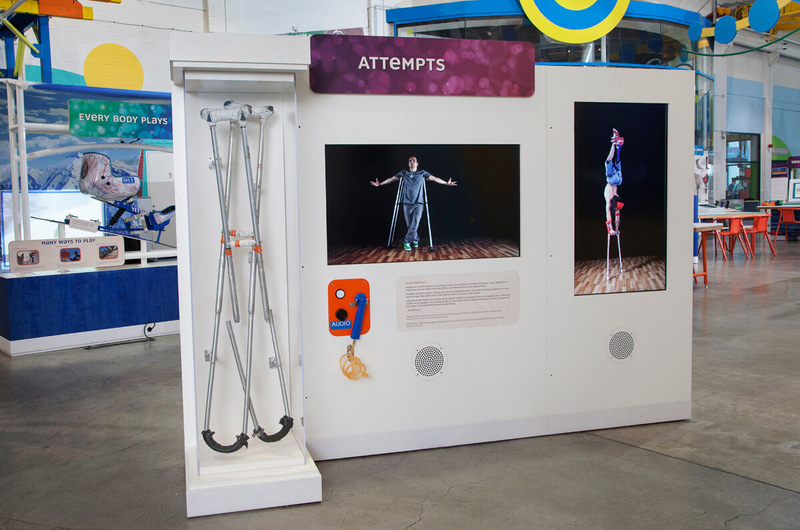 Attempts—This piece features videos of dance performances using crutches. 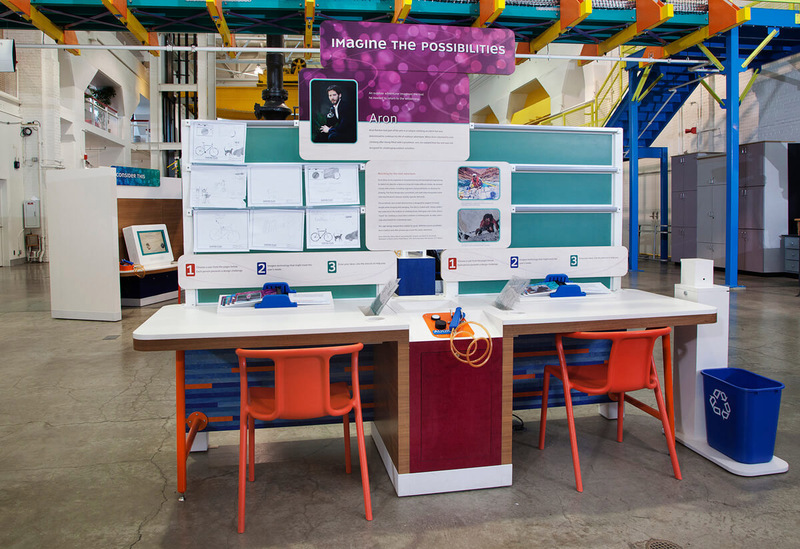 It explores how human creativity and imagination can surmount the limits tools might seem to impose. 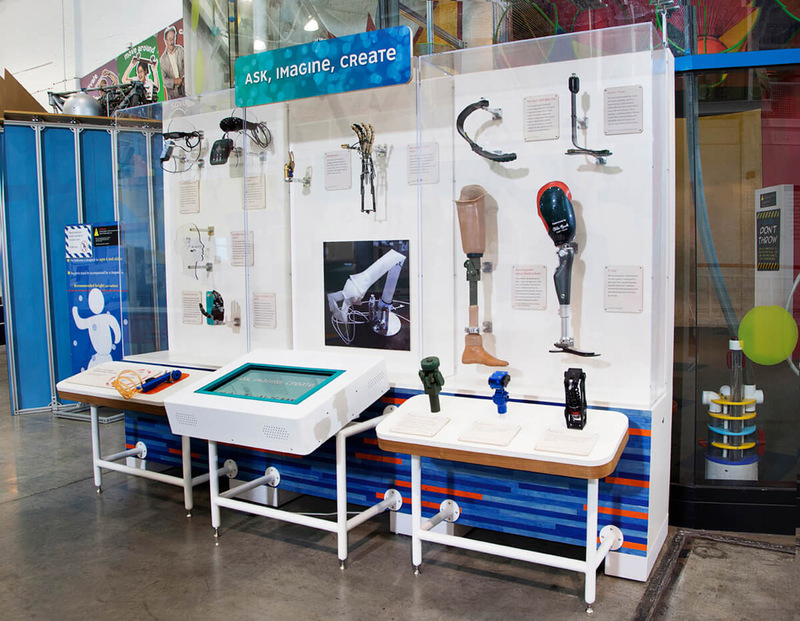 Imagine the Possibilities—Real users present visitors with design challenges, like designing a canoe for a man who has no arms. 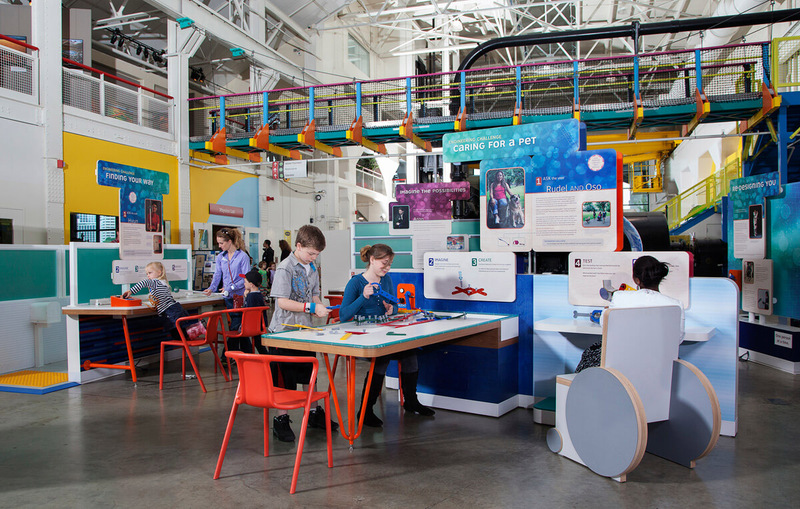 Visitors imagine the possibilities and draw their own designs or use stencils to help them. 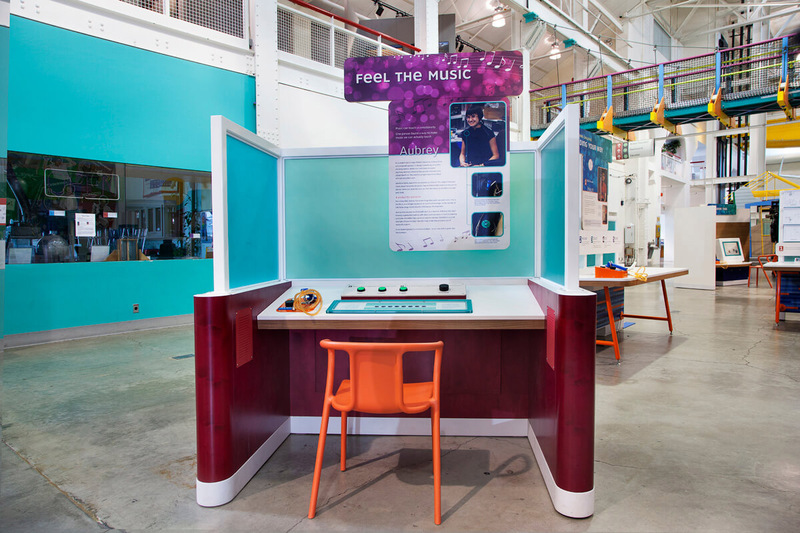 Feel the Music—Visitors choose a genre of music and can listen to it or turn down the volume and feel it through their fingertips. 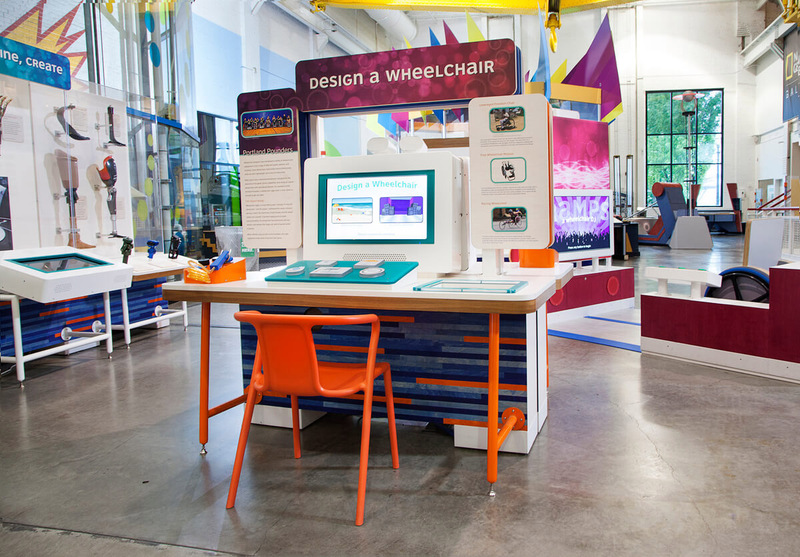 Design a Wheelchair—Visitors choose types of frames, seats, front casters, back wheels, and accessories pictured on plastic blocks, arrange them in a design panel, and virtually test their new design. This sample floor plan gives you an idea of how Human Plus will look in your gallery space. 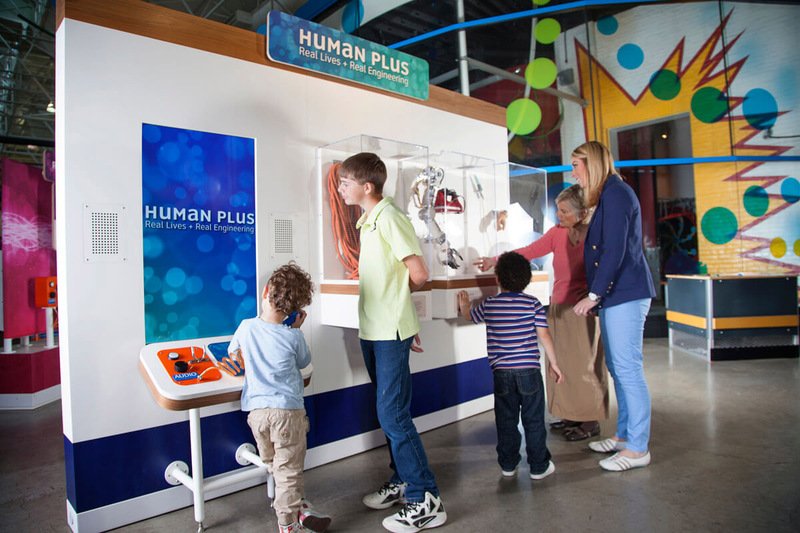 A printable fact sheet about Human Plus. Tour Schedule for Human Plus. 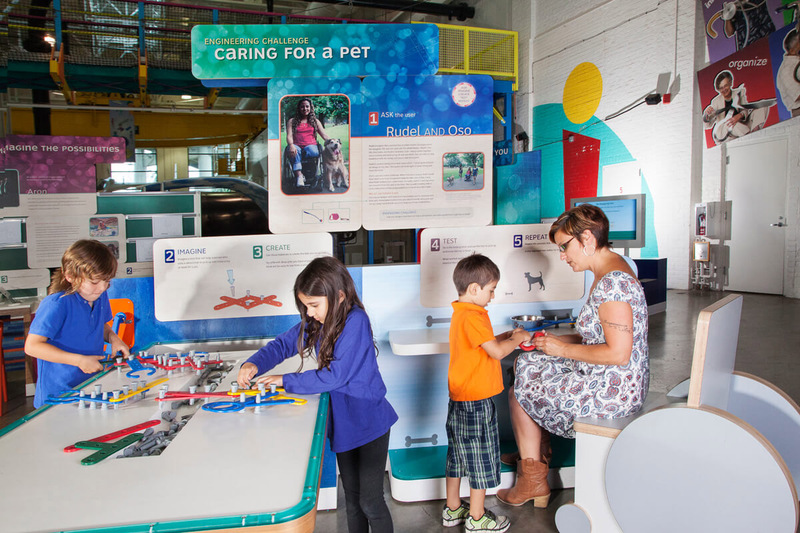 The exhibition was created by the New York Hall of Science in partnership with OMSI and the Quality of Life Technology Center with funding from the National Science Foundation (award number 1010507).